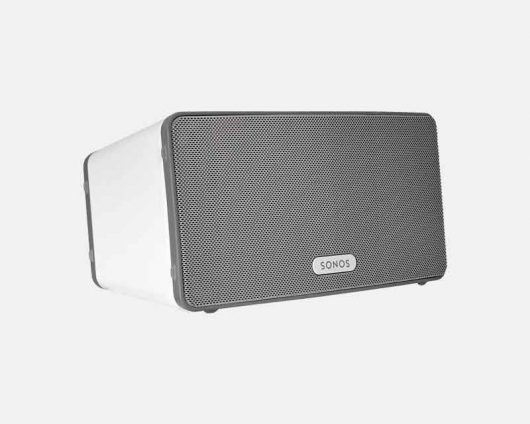 SONOS biggest home speaker with the boldest sound. Tap for the volume. Swipe to change the track. Right from the PLAY:5 speaker itself. Perfect for when your phone is in hiding or out of reach. 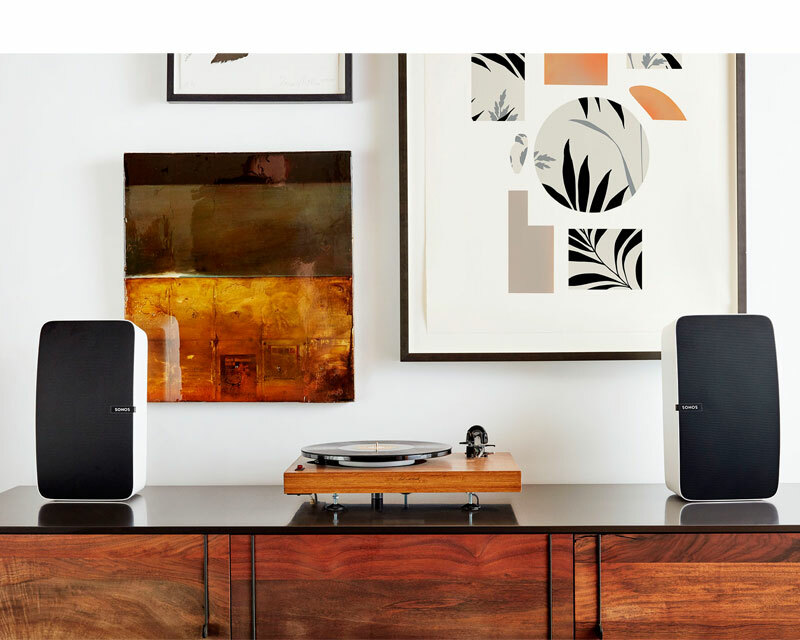 Sonos plays everything–the most popular streaming services, on-demand services, Internet radio, your favourite podcasts and audiobooks, your go-to collection of downloads­–whatever you love to listen to. 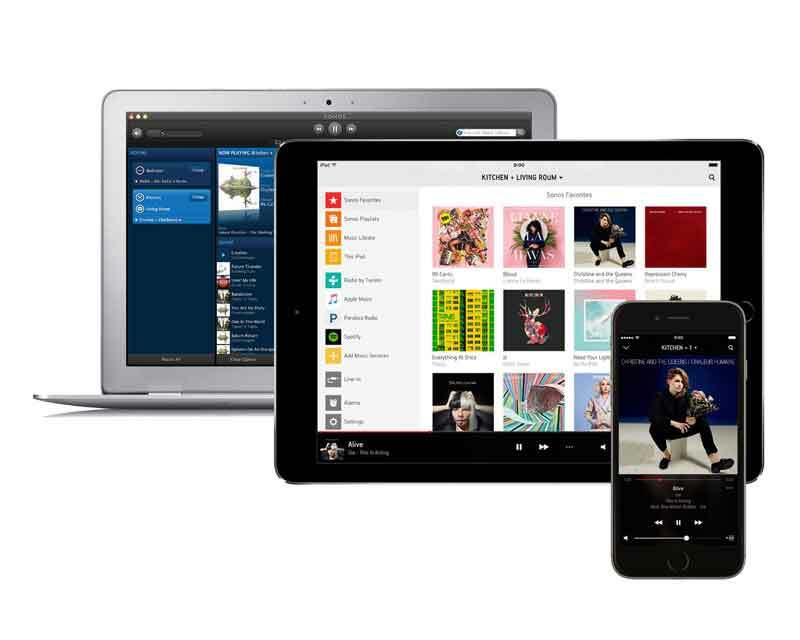 The Sonos app helps you quickly search through all of your music services to track down favourite music, send it to different rooms, and adjust the volume and other settings. You don’t even have to be in the same room. 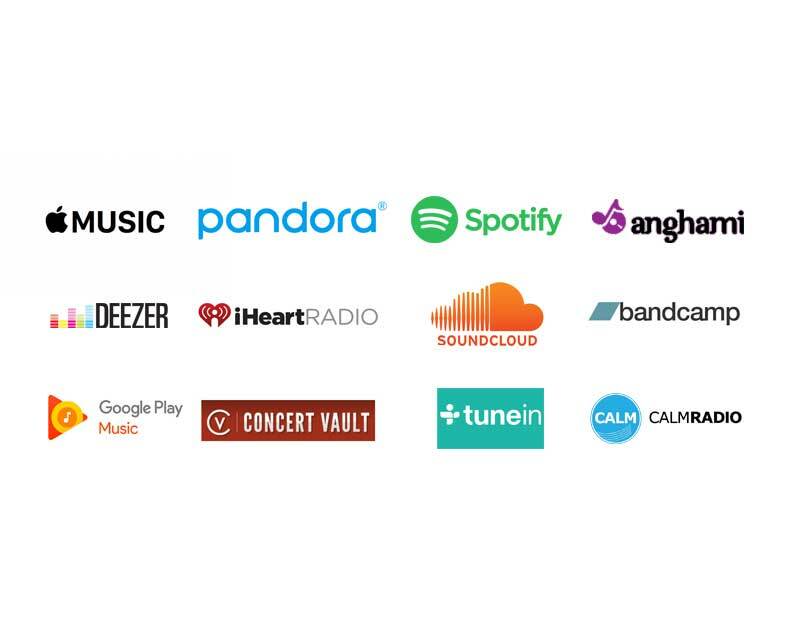 And if your friends have the Sonos app, they can do the same. Available for Mac, iPad, iPod, iPhone, PC, Android. Visit My Byte for a demonstration. 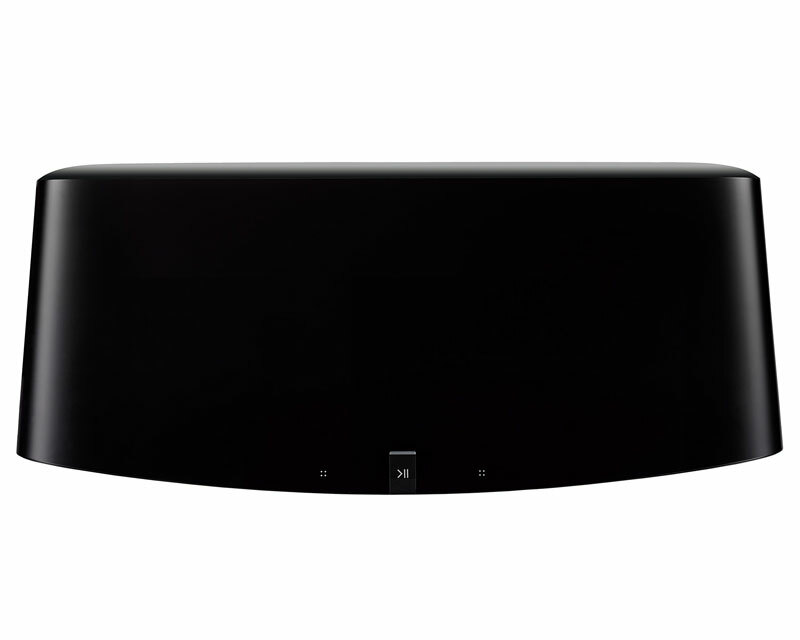 Sonos Play:5. Knock your socks off sound. 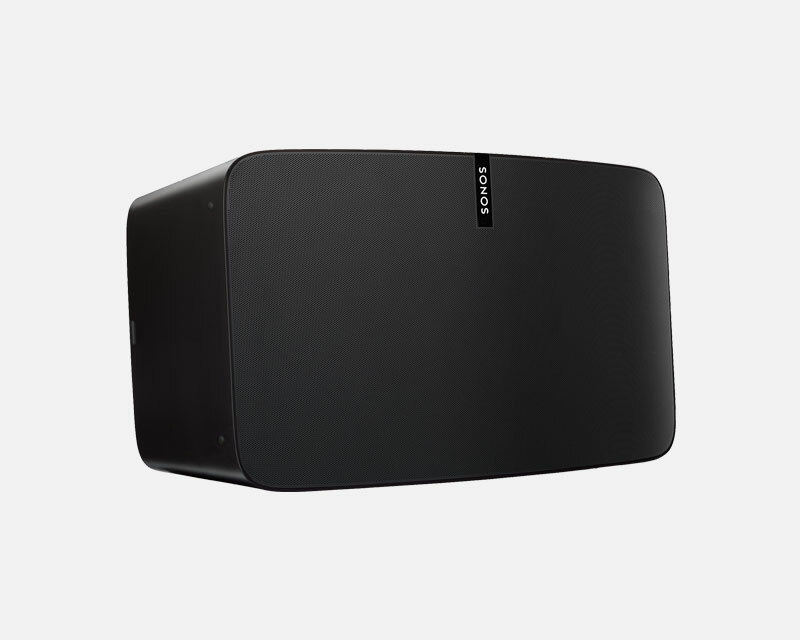 Three mid-woofers ensure you'll hear the faithful playback of mid-range vocal frequencies plus deep, rich bass without distortion, even at high volumes. 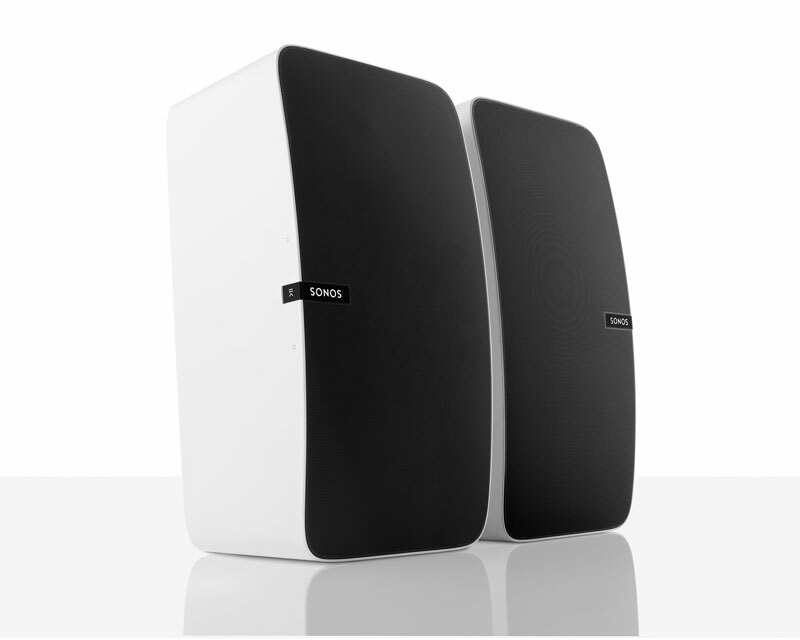 Phased speaker array (three drivers on top and three on the bottom) create a wide stereo soundstage that directs the sound left, right, and centre. An auto-detecting 3.5 mm connection. One 10/100 Mbps Ethernet port. 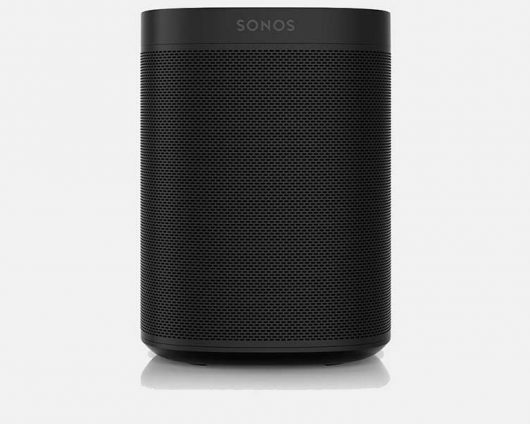 Wire directly to your router to operate your Sonos if WiFi is unstable, or use the Ethernet port to provide Internet accessibility to non-wireless devices if you're using BOOST setup. Two built-in microphones to enable future Trueplay tuning enhancements.